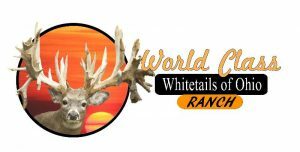 World Class Whitetails of Ohio, Ltd. Special Group Auction! This auction is in HIGH DEMAND!!!!! This auction will not be offered again!!! 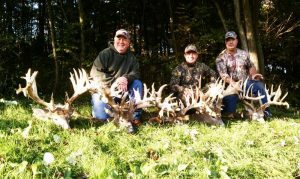 This week I am running a (4) Monster buck group auction. Get in on the action while ya can! Offers like this do not happen too often! HURRY!!!!! 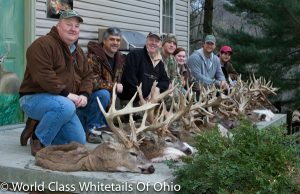 This is a group hunt, total of 4 bucks!!! 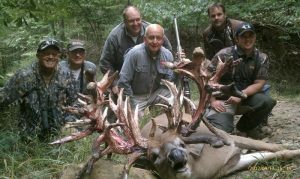 This hunt is 3 days, 2 nights, all homemade meals, steak dinner, comfortable lodging, excellent guide services. 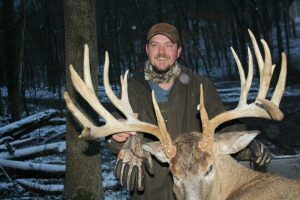 No license required, no tags, no trophy fees! You can use your weapon of choice for this hunt, rifle, shot gun, muzzle loader, bow, cross bow. This auction will start at $3,000. 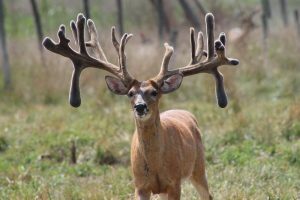 Click on the link below to bid on this group hunt special!!! 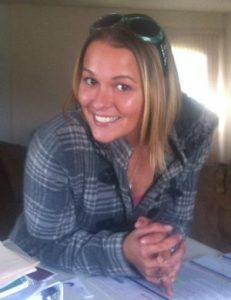 You must include your name, address,phone number, and the amount you wish to bid. Please remember, I can not make your bid a valid bid without this information!!! Group space is very limited at this time, so get your spot booked now!!!! !